Lately, though, there is an increasing number of brands whose choice of ambassadors seems to be more a cry of desperation, than a positive reinforcement. Don’t get me wrong, the chosen ones in question are super successful and admired people in their field. By themselves, their own personal brands are associated with all things positive. But it’s their association with certain brands that comes across as completely random, and honestly, just plain sad. Take the Windows Phone, for instance. Jessica Alba is the face of the phone, and in all their commercials, press conferences, and other public interactions – the key reason that is claimed as the basis of this mutual association (Alba’s home & baby products venture ‘The Honest Company’ shares space in Windows phone promotional material), is that the Windows Phone works for people like Ms. Alba who have to multitask and juggle between diverse parts of their lives efficiently. Frankly, the whole premise of this association is weak-sauce, and it’s presented in a way that’s not really helping Microsoft’s case. Sure, the phone has clever features like the ‘Kids’ Zone’ that makes sure your kids don’t get access to any of your stuff on your phone (and thereby, don’t get to delete / tinker Apps around on your phone!). I also quite like the ‘Live tiles’ interface – interesting stuff, very Flipboard-esque. But I still don’t see any clear proposition and distinct advantage that makes me want to switch over to that phone. Also, no offence to Jessica Alba, but they may as well have used anyy other seemingly multi-tasking, well-liked celebrity as their endorser and I bet nobody would’ve wondered: “Hey, I wonder why they didn’t choose Jessica Alba as a brand ambassador!” It’s not a no-brainer association. Or even something that instantly clicks. 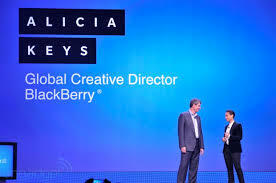 Another such “association” that is hard to comprehend, is the Alicia Keys – Blackberry 10 alliance. As if featuring her as a brand ambassador wasn’t confusing enough, Keys was appointed as ‘Global Creative Director’ for Blackberry (I’d love to see the job description for this one!). I know the Querty ‘Keys’ have always been one of BB’s trump cards, but isn’t this taking it a little too far?! Also, it’s not like Blackberry wants to leave their established positioning as a business phone behind: With the BB 10, they basically want to be a business phone & more for “people who want to get things done”. Apart from the obvious vagueness of that statement, it implies that BB now wants to be everything for everyone: a classic recipe for marketing disaster. And as much as I love Alicia Keys, it’s hard to digest her pantsuit-clad, Blackberry-brandishing Avatar: It’s just doesn’t make for a convincing story; and incidents like her continuing to use her iPhone to tweet (and later attributing it to hacking) are not helping the case either. Let’s just say this girl isn’t exactly on fire here. 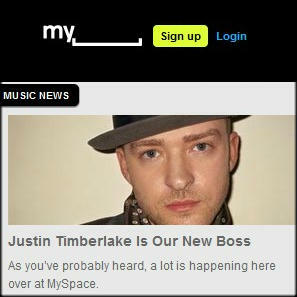 The Justin Timberlake – MySpace alliance is one more such confusing story. But it may be worth watching this one closely, as there are two different factors in the mix: 1. Timberlake himself is the unlikely entrepreneur here and has invested $35 million in MySpace and released a new single exclusively via the platform, and 2. MySpace seems to be poised for a huge overhaul in terms of its design (getting rid of the clutter), quality of content, and focus: Timberlake plans to leverage the “social component to entertainment” by bringing fans and artists together in a more organized community on MySpace. So, the jury may still be out on this one. To me, an example of a ‘no-brainer’ choice for brand ambassadorship would be Tiger Woods for Nike. Yes – despite all the scandals of the past couple of years, I think Tiger Woods still is a good choice for Nike – as opposed to Lance Armstrong, who has obviously earned his dismemberment. Reason being, while the personal character of Tiger Woods may be questionable, his professional capabilities and achievements cannot be doubted. On the other hand, with Lance Armstrong – the very reason for his glory: his performance on the cycling track – can no longer be held as the golden standard. And Nike is, after all, about performance. Nike never said it represents good husbands, or good family men – it only said it represented go-getting, performance-oriented stellar athletes and sportspersons. And his personal life notwithstanding, Tiger Woods still personifies this performance-driven perfection that Nike is all about. There are plenty such great brand ambassadorships around. Take the case of Jennifer Hudson‘s much publicized, winning battle against the bulge courtesy Weightwatchers, for instance. Or the long standing James Bond – Omega association. Or heck, even John Stamos and Oikos – what better way to underscore the Greek-ness (and ahem, appeal) of their brand?! These ambassadorships make sense, not just because they make people sit up and notice the brand, but more so because they echo the exact qualities that the brand clearly wants to highlight, and they speak directly to the purchase decision maker. While it is true that the right ambassador could work wonders for a brand, it’s not an imperative to success. And whether or not marketers choose to enlist celebrity ambassadors – it’s high time they reminded themselves that their brand is supposed to be the hero of the story, and the ambassadors merely the narrators and messengers of it. Not the other way around.